Anuchard is an on development 2D top-down dungeon crawler, you play as a chosen one Bellwielder, retrieve the souls of people trapped in the Dungeon, restore the fallen civilization, seek help from the missing Gods, (eh?) feed them with your cookings! follow updates on our twitter! Yo! Back to me, Laz, again! This week we’re doing more evaluation and discussion. But since it’s Eid holiday, we’re a bit slowing down. I’ve been finding a bit difficulties in feeding myself since my usual food stall is off lmao. 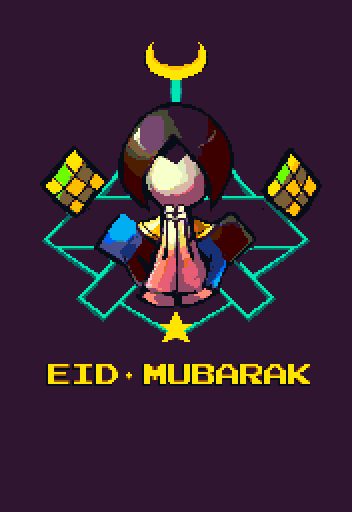 Anyway, Eid Mubarak! Rico’s evaluation on story is that my story/writings doesn’t have enough depth, and still feels too hurried on the intro. Well I was expecting that because I want players experience the combat ASAP, since narration wouldn’t be the hook of this game. Also, grammar errors lol. Well yeah, as you’ve noticed my English is only as much as these devlogs’ level, so yeah we’re gonna drill on that later. That’s all for this week. I caught a cold so I had so need more time to rest today, haha. check out other posts about Anuchard! Weekly updates about Anuchard project: we've been missing out the combat aspect as we're working on story, so we currently revisiting them. Anuchard: devlog ~16 - Polishing time yet? Weekly mini devlog of Anuchard. Visual updates while waiting for game design to conclude. Anuchard's weekly mini development blog, today's topic is about storytelling style, rule for self-restraint and reference.